Surrounded by oak, birch, maple, and scattered pine, this is a fantastic spot to access the Pike Chain of Lakes in Iron River. The northern pike, walleye, largemouth bass, and bluegill make Twin Bear Lake popular with anglers. Reservations are accepted. 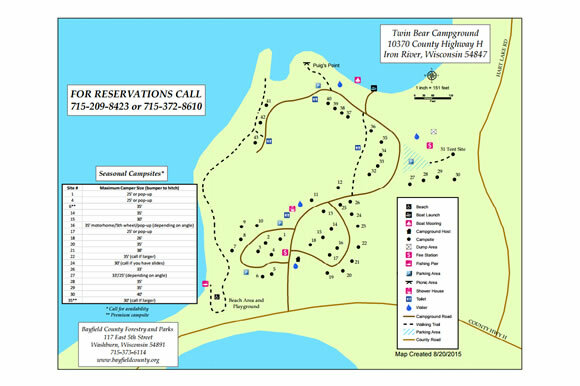 View a map of Twin Bear Campground or browse through our rules and regulations and ordinances for more information.